Trichogramma is an effective destroyer of caterpillars (which are leaf eaters in the larvae stage) and moth eggs. 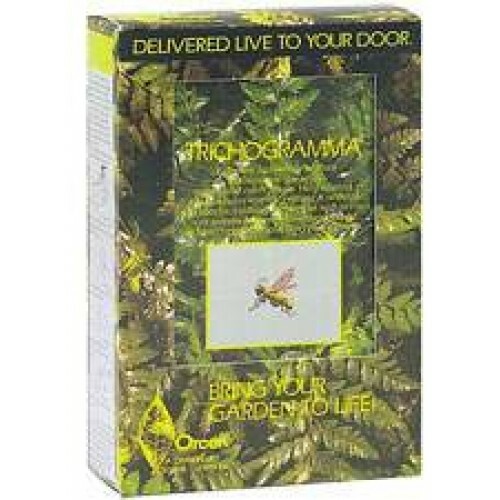 Some of the moth eggs attacked by the Trichogramma are: bollworms, tobacco budworm, codling moth, corn earworm, alfalfa caterpillar, gypsy moth, cutworm and tomato hornworms. Trichogramma are tiny parasites that lay their eggs inside the caterpillar or moth eggs. They hatch and feed on the pest eggs, killing them. Then they emerge as adults to continue the cycle. Each container includes 4,000 eggs.